Two hundred and eighty-seven candles will not quite fit on a standard birthday cake, but that won’t stop us from honoring the birthday of America’s first President! 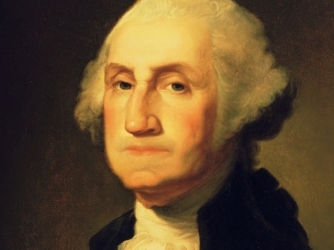 Beginning 187 years ago on the centennial of Washington’s birth, the celebrations began. Although the holiday will never fall on his actual birthday, we will nonetheless commemorate the day cooking some favorites in the Buckingham-Hall House (including cake!) and reading George Washington’s Farewell Address.